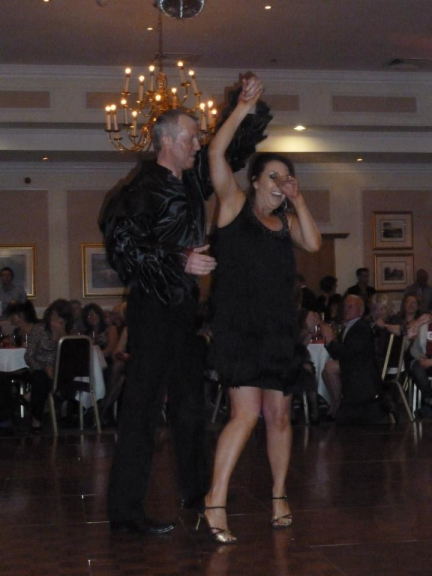 Well done to John and Paula Hynes of Copy Print Services, who have won the Strictly Learn to Dance for Bolton Hospice competition. John and Paula ended up with the champion’s trophy after impressing the judges with their fancy footwork. John said that they had a brilliant night and it was a great laugh, and Paula said that the dancing was very good and they had great support from the 400 strong audience at the Last Drop Village. All the 11 couples who entered were given 10 weeks of intensive dance training by Sandhams Dance Studio as many of them had never danced before. Everybody had to perform a waltz and quickstep, and then a specialised dance of their choice. 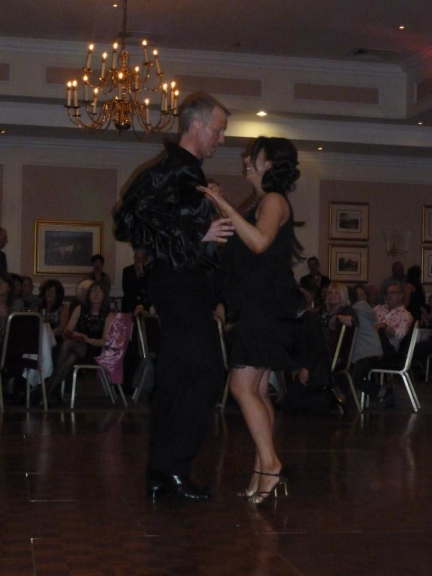 Their fellow bestof Bolton members Eric and Lorraine Henshaw of Business for Breakfast won first place in the quick step competition. Eric said they were very pleased to win and they plan to keep the dancing up. They actually preferred the meringue though. If you want to sponsor John and Paula, you can do so via their just giving site, which is at http://www.justgiving.com/paula-hynes At the time of writing they had raised £935, which is double the target of £400 that the Hospice asked all couples taking part to raise (£400 is the amount it costs to run the Hospice for an hour.) They would like to thank everyone who has sponsored them so far. John and Paula’s day job is running Copy Print Services. Contact the team there for great quality photocopiers, scanners, fax machines and lots of other tremendous office equipment. The telephone number is 01204 689672.